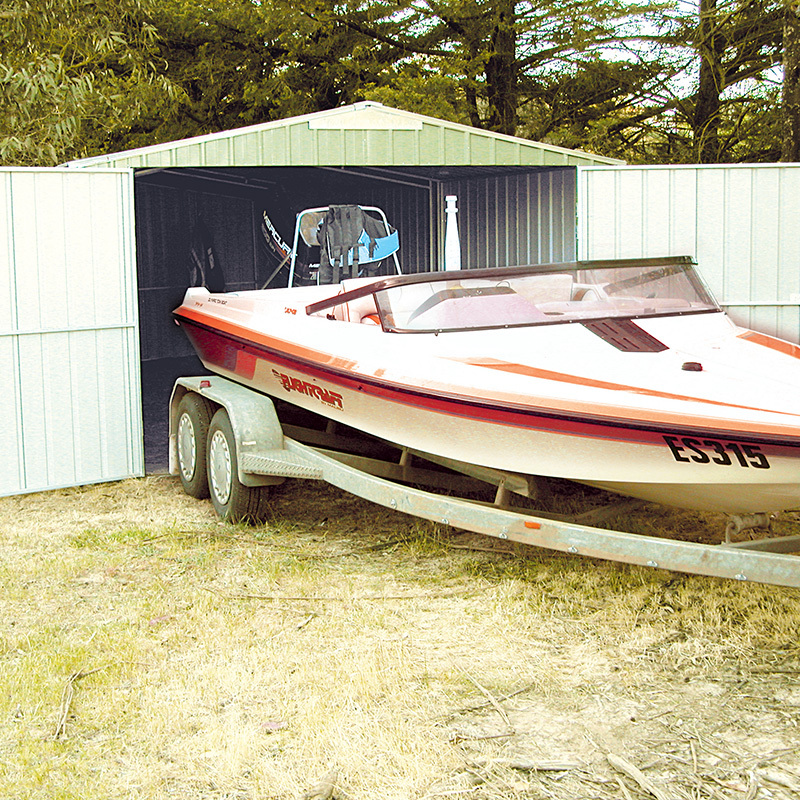 SteelChief sheds are great solutions for storing boats and other water equipment. If you are looking for an easy, flexible and secure way to store your boat then look no further than one of our large gable roof sheds. There are a range of options available including wider doors, additional wall height and lockable handles. 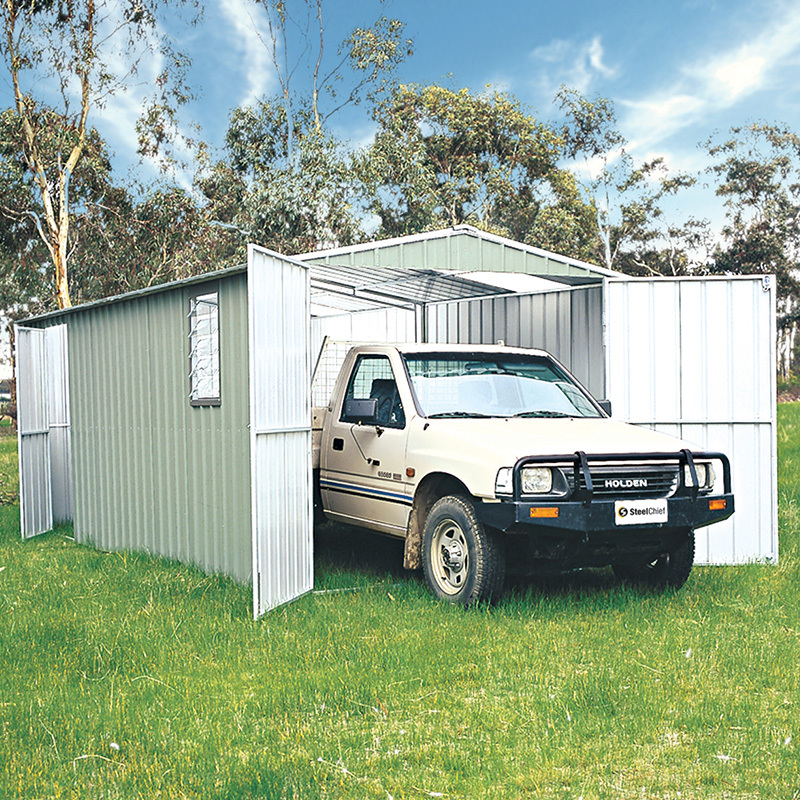 If you are concerned about the strength of a shed then enquire about our steel frame sheds which have a fully welded internal frame. 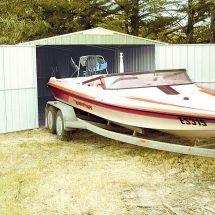 Our boat storage sheds are easy to install for the home DIY person. 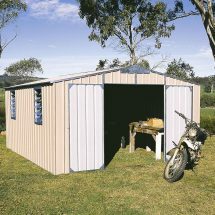 Simply screw the panels together and fix the shed to the ground. 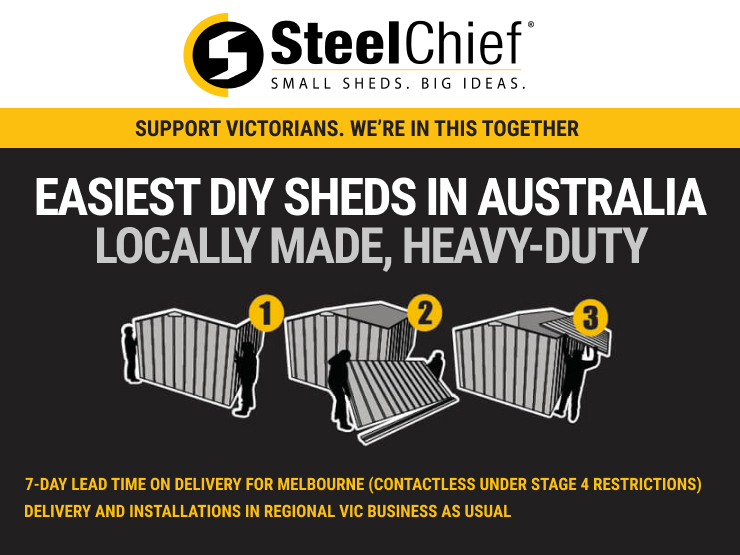 Don’t be fooled by a product in a box that will take 5 times the amount of time to put together. 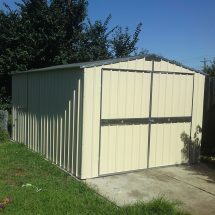 Alternatively, if you are wanting the project managed by experts then we do service a number of key locations around the country. 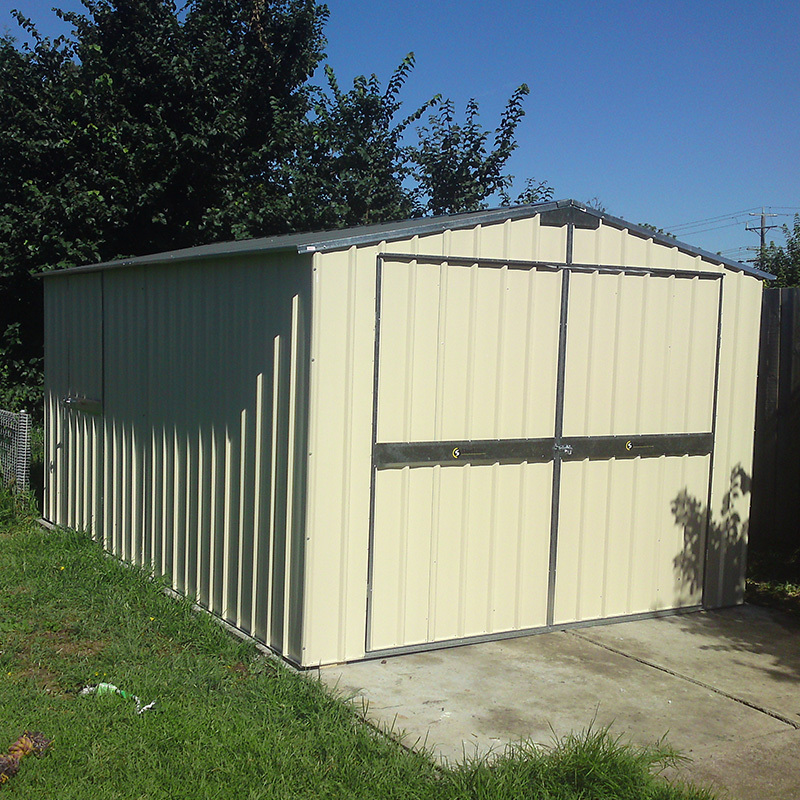 Give us a call to work through your next project.